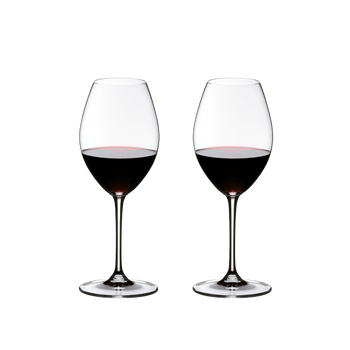 The classic machine-made Brunello glass of the established glass collection Vinum should be part of the basic equipment of every sophisticated wine lover. The shape of the glass emphasizes the firm tannins and cherry bouquet of Brunello di Montalcino. The large sized bowl allows full appreciation of the rich Brunello aroma. Vinum glasses have proved to consumers and restaurateurs that the pleasure of consuming wine starts with the glass. All RIEDEL glasses are dishwasher safe.